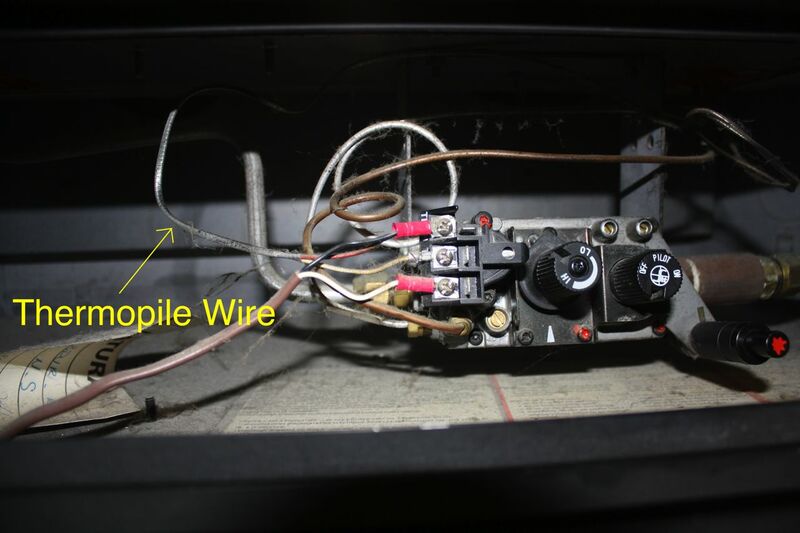 Repair Your Gas Fireplace Yourself?After 5 years of experience repairing, installing, and servicing fireplaces, I found most of the service calls I would go on were minor repairs or adjustments that would often take 15 minutes or less. I would then be stuck handing the customer a $125 service charge, for something that could easily be fixed or adjusted themselves. Thankfully, there is another way. With a little bit of knowledge, you’ll find that your fireplace is really not all that complicated. And that if it malfunctions, there are at least a few things you can try before getting a professional involved. The main goal of this website is to give you clear, concise, instruction and knowledge so that you may not only learn more about the function, maintenance, and operation of your fireplace, but also be your first “go to” source for troubleshooting problems. (In essence, saving you money). Fact: most people are afraid of their fireplaces. This fear is perpetuated by a lack of knowledge and understanding as to how their fireplace works, and how to safely service a gas fireplace. If you want to start at the beginning, please visit the Fireplaces 101 page, where you can learn about how gas fireplaces operate. Otherwise please visit the posts to the right to begin troubleshooting and repairing your fireplace. If you are still stuck, you can always visit the Find Certified Technicians page where you can locate a skilled NFI (National Fireplace Institute) certified repairman. I have a Vermont PDV20 gas fireplace. Pilot light will stay on, after 2 mins. holding knob in.(preheat). Then turn knob from “pilot” to “on” & it goes out. Is there a replacement valve ? Unfortunately it is the valve. Try this: VERY slowly turn the knob from “pilot” to “on”. Most of the time it will stay lit if you do this. This is a known defect with that particular valve and the only real solution is replacing it. If you look online you may be able to find a dealer that still has one. Otherwise take it to your local fireplace or HVAC shop and they should have a replacement that will work for you. I have a heat n glo fireplace that will not turn on I have power, new modular, what can be theproblem? Some remote brands are very sensitive to outside interference. You may have to “re-learn” the remote to the receiver to reset it to a new frequency that will not have as much outside interference. Some brands require you to re-learn the remote 10 times in a row before it will switch to a different RF frequency. You may have to refer to the manual for your remote on the specifics. I have a DelRay 34DVI. Nothing happens when I flip the switch. Where do I start? First make sure you have a pilot light. Start in the “h section. Please visit the to find a qualified technician near you. I can’t thank you enough for this website. My fireplace was not lighting and the last time I had a problem, I was quoted $125 for a technician just to make a call. I tested the switch as suggested and that was the problem. Ninety-nine cents later, it works and I feel worthy of my own home repair show! Look out Bob Vila. We purchased a house a few months ago with a Heat-n-glo natural gas fireplace model number sl-750tr-ipi-d it turns on by a light switch. The pilot lights when we turn on the switch, but the main burner won’t light. Any help would be greatly appreciated!! Thank you! This is an electronic ignition (or IPI) fireplace. Start by removing the decorative front off the fireplace (usually done by lifting up on the front then pulling out). This will reveal your main control valve area underneath the fireplace. The main control valve is silver and has a high/low knob and two colored terminals (one orange, one green). If you look on the orange terminal you will see an orange wire connected to it. Now look at the green terminal. This should have a green wire connected to it, which I’m guessing is not connected. Find the green wire and slide it on the terminal and it should start right up. So…we have black on the glass of our gas FP. This started some time ago. We called out a tech because we were having another problem. He ended up cleaning everything as well. We used the FP maybe two more times that season all was fine. Next season a few uses and the black. I googled. For help and recleaned everything including the little holes and made sure the logs were like they should be. I think the tech put them back wrong. Anyway black again. What is up?? I sounds like you need to open your air shutter more. Your flame should be blue and yellow, (no orange or black tips). The air shutter is located around the main burner orifice and controls the mixture of air to gas. There is usually a screw you can loosen to rotate the shutter to open it up and allow more oxygen. More oxygen = less soot = leaner burn. Do you happen to have a guide to flame adjustments? I just installed my Kozy Heat Princeton. It has the new IPI system in it. Turns on fine, etc. I cant figure out what I need to do adjust the flame height. On back inside of the box is an adjustment for air intake which i set to “2” based upon the vertical pipe we have for it. The last adjustment i assume would be the Venturi pipe. For the life of me, I dont understand how it works.. does it control the amount of NAT into the burner plate or flow? When the fireplace is on low, Im simply getting low blue flames. On high.. I only have (2)flames just above the logs, where I see a video on you tube showing it higher. No worries if you have no tips. figured I ask anyways. The venturi adjusts the air to fuel mixture for the flame. The more you close the venturi, the more yellow the flame will become (and larger it will appear). The venturi on this unit is adjusted but removing the hex head screw on the lever next to the control valve. You can pull this lever toward you to adjust the mixture. If you close the air shutter too much, the flame will appear orange with black tips and it will cause a lot of sooting. Its best to find a good balance between flame appearance and a clean burn. I seem to have a backwards problem. I have a millivolt no clearance system, I can turn the pilot on, stays on, lights the fire. And then I can’t turn it off. Some kill switch not connected? Something is causing it to stay on. Check the valve to make sure there isn’t another toggle switch or something connected to it that is keeping it on. Hi- I have a gas fireplace and the pilot light has gotten increasingly large. It burns yellow/orange and flickers and also makes some popping sounds. It’s gotten worse over time. If it needs a cleaning, does this require a service call or am I able to easily wipe something (of course, I’d rather not try)…? (By the way, the fireplace lights and runs just fine when I turn it on — it’s just the large pilot light which is concerning me). Thank you. Remember, cleaning it is a temporary solution. If it still works, you are fine. But eventually you will get to the point where it won’t work. Consider using the “finding Certified Technicians” section and have it replaced by a professional. Have your model and serial number handy and they should be able to make sure they have the correct pilot assembly when they service the fireplace. Hi, I have a Tempco GLC36-3P fireplace. I need to convert it to nat gas. Majestic which bought Tempco does not make the model anymore and does not have any replacement parts left. The control valve is a Robert Shaw and I have found a Right Valve replacement for natural gas. It looks identical so I am pretty sure it will work. My question is about the pilot and burner orifices. I do not if they are built into the control valve or if they are separate screw in spuds like a gas range. If the are can you tell me where each would be located. They are separate. The pilot orifice is in the pilot hood (on the assembly). You can access it by removing the pilot tube from the bottom and it should slide out. The burner orifice will go into the burner pan/burner tube, its usually a brass spud. It can be located in many different locations. Remember, you will also want to rotate the air shutter around the burner orifice more closed. This way your flame won’t look blue and puny. We have a gas fire place, the pilot light works no problem. I let is warm first and then turn to the on position. It lights up the burners then all of a sudden the little outlet holes look like they are blowing out then re light. Then we hear a click and the whole thing disappears. Start it up again and 2 mins after the same procedure it does it again. It will not stay lit. Any ideas. Greetings. We purchased a new gas fireplace. My issue is that the flame is blue no other colors are present. From whet I read it seems to be an issue of air and gas mixture. How could a adjust the flame color? I would recommend calling a service technician to make the adjustment. There is usually an air venturi around the main burner orifice that can be rotated to adjust the amount of air to fuel mixture. The more you close it, the more yellow you will see in the flame. You have to be careful because if you close it too far, it will cause the unit to emit black soot as it will be burning too rich. 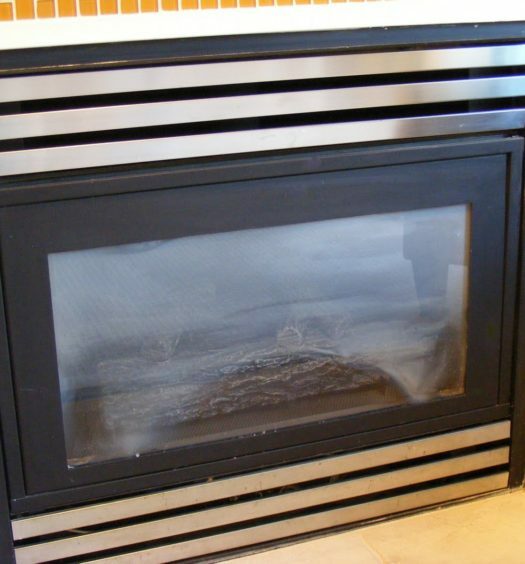 we have a standard gas fireplace that is about 2 years old(new construction) and last season we noticed the main burner would go out and then come back on after about a minute or so. I am very handy and was wondering if this was something I could address on my own? Please follow the main burner issues tutorial on the website. Sounds like a bad wall switch. Hi, we recently moved into a home with an APK 15M – APK 15MP natural gas fireplace, I’m reading this off the manual. The pilot appears to work as there is a flash when I click it, but nothing lights. I’m not sure if the gas is reaching the logs as I have yet to hear a hiss or smell any gas. I have opened the gas valve adjacent to the fireplace and our stove & dryer both work so I’m not sure how to proceed. Any thoughts? On a separate note, thank you for putting together this website and answering questions; you are providing a service to your neighbors nationally! Make sure you are pressing in the ignitor control knob to release gas to the pilot. This requires turning it slightly toward the IGN setting. You should be able to hear gas coming out. If you still don’t hear gas, make sure all shutoffs are turned on (many times there is more than one) then check your pilot tube for blockage. Hi I have a Heat n Glo 6000GLX. Has worked fine for 7 years. Over the summer the gas in the home was shut off. Now even though the gas is back on & the valve is on the fireplace will not come on. When you first turn it on you hear clicking. Then eventually it just cycles off. I feel like this is a minor problem but I don’t know exactly what’s wrong or how to fix. Appreciate any guidance. Thanks! It is not uncommon for IPI fireplaces that haven’t been operated over the summer to have air built up in the gas line. Just keep trying. If you hear clicking and see a spark in the firebox it should eventually bleed out all the air and light itself. pilot light won’t light. It won’t light at all. The gas is on but was turned off for the summer. Any ideas? Can you hear anything coming out of the pilot assembly when the pilot knob is pressed? If not, you may have missed a shutoff, or you may have blockage in your pilot tube. If you can hear something coming out of it, you may just need to light it manually with a match or lighter (if the sparker isn’t making a hot enough spark) or there may be air in the gas line that will need to be bled out. We recently moved into a house with a Comfortec Model C60 nat gas fireplace. We have tried everything we could to get it to work properly and are not sure what we are missing. We turn the gas valve on and light the pilot light without any issues. However we cannot get the main burner to light. The fan speed control does nothing, in fact the fan will not even turn on after 30 minutes of leaving it on with just the pilot light on. There is an electric switch (light switch) next to the fireplace but flipping that on also appears to do nothing. Turning the thermostat on the fireplace all the way up also does nothing as we cannot get anything to work beyond the pilot light. It seems like we may have an electrical issue? But I am not sure what to check. The manual we have is not very helpful. Make sure the pilot knob is in the “on” position and not the “pilot” position. IF you are still having issues follow the “main burner will not light” tutorial. Its not uncommon for pilot lights to make noise, even at their factory setting. If it appears blue it should be fine. If the noise bothers you, sometimes the pilot screw is actually located behind the screw that is on the valve. Try tightening the screw all the way. If this is the pilot adjust screw, the pilot will go out. If it doesn’t, try unscrewing it, taking it out, and sticking your screw driver inside the hole to see if there is an adjustment screw behind it. We have a Majestic DRV33 direct vent propane fireplace, it was working fine up until two weeks ago. Now the main burner has very small flames. Flame height adjustment does nothing, changed the thermopile, no difference. Pilot burning brightly, lots of propane. I see a previous post about spiders getting into the orifice, but where is the orifice on my burner? Hello, I have a Heat and Glo self igniting fireplace. The igniter wasn’t sparking even though it was clicking. I change the igniter out and it fixed the problem but only for a short period of time. Now my problem is that the igniter only sparks if the gas is off. If I turn the gas on, then it quits sparking but it still makes the clicking sound. Any ideas?? I would try cleaning off the pilot hood with some steel wool or emery cloth. The ignitor may just need a clean piece of metal to spark against. You could also try gently bending the ignitor closer to the pilot hood. The gap between the ignitor and pilot hood could be too large.